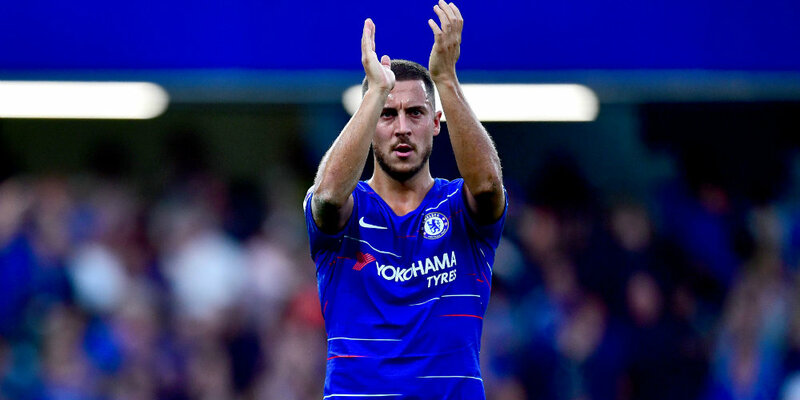 Eden Hazard has dropped his biggest hint yet he could leave Chelsea at the end of the season. The Belgium international has 18 months remaining on his contract and has been linked with Real Madrid. “For now I’m staying at Chelsea,” Hazard told Canal Plus. “I have one year left in June. If I don’t extend, it (a move) is possible. I can’t see myself leaving in January. I wouldn’t do that to the club, to the fans. However, Hazard, who joined Chelsea from Lille in 2012, has ruled out a move to Paris St-Germain, who have also been linked with him. “There has been contact in the past with PSG but I haven’t been tempted,” he added. Don’t put Chelsea management and fans in suspense. Management needs to plan hence the need to let the cat out of the bag. Give adequate time to Chelsea management to look for your replacement Hazard that to give a short notice of your leaving the club, and making it difficult to find a good replacement of you. Be professional please. Don’t continue to act the way you’re doing. It’s not good. But my warning to you. Joining Real Madrid will not make you a legend but at Chelsea, yes. You’re already coming to that level.